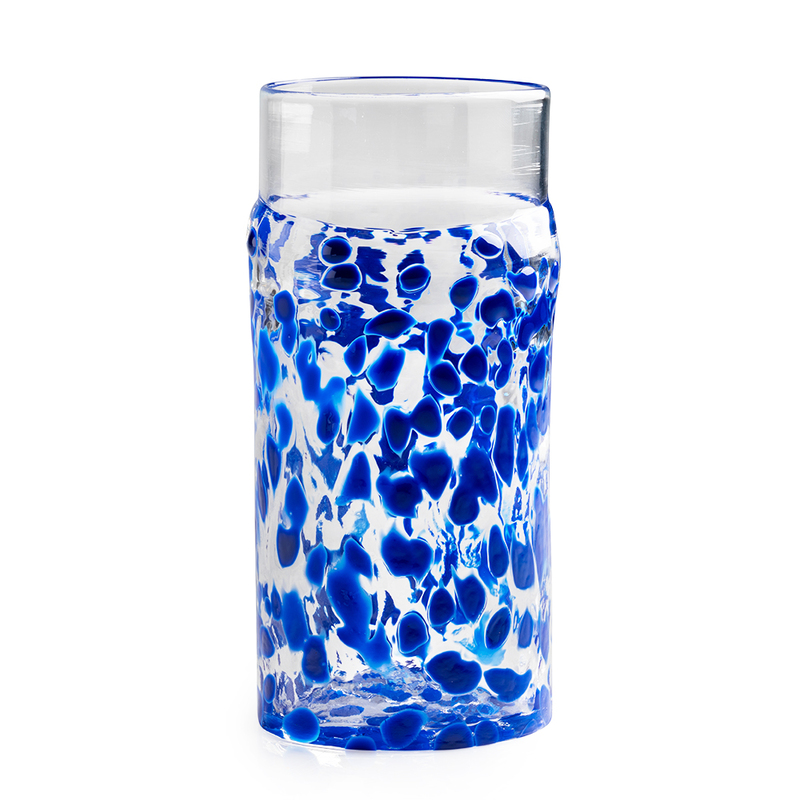 This tumbler sprinkled with blue is a great way to enjoy your favorite drink. First introduced to hot glass in his hometown of Detroit, G Brian came to New York to study at Alfred University. Today, he is a gaffer and narrator at the Museum's Hot Glass Show, and uses blown, kiln-cast, and hot-worked solid glass to create forms of beauty.